Former adventure addicts and hiking aficionados might have a rough time when organising a family trip with small kids. Camping off the grid and sleeping under the stars might not seem so practical when you know there is no chance of packing up all the kids’ stuff in a backpack. But, there are still ways to feed your urge for adventure and take a road trip with your kids that will leave you with a few fun stories to tell later while not eating your whole budget. Queensland’s Rockhampton region is surely the right pick for this kind of trip. And if you find a free transfercar or campervan suitable for the whole family, no attractions will be out of reach and you might enjoy the best trip of your life. The longest operating tourist attraction in the region will surely take your breath away, especially if you try running around those tunnels with a bunch of kids. Luckily, there is great staff to help you make your path through the underground labyrinth, and once you get there you won’t be disappointed. 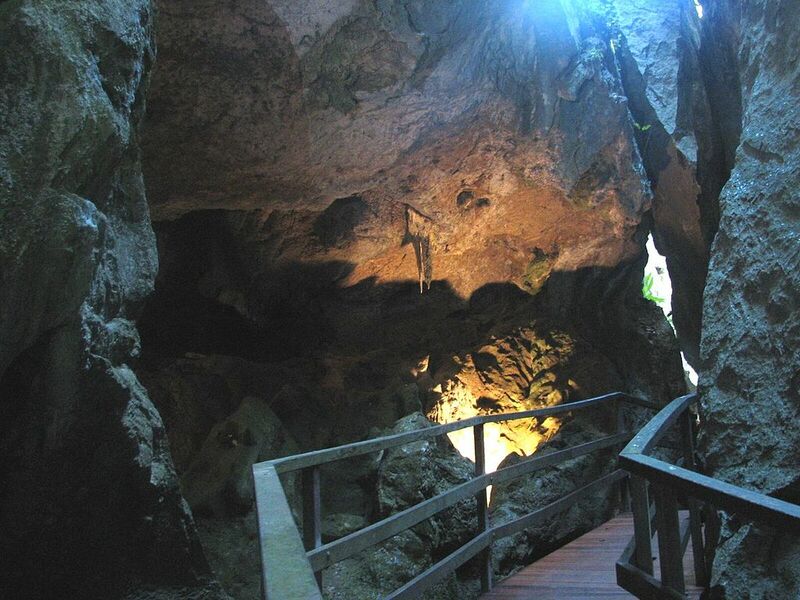 Set just 14 miles north of Rockhampton, these limestone caves were discovered at the very end of the 19th century and now play host to a geo-discovery centre which is used for several school education programs. There you can pick a tour most suitable for you and your kids, depending on what type of adventure you want to take up. The coastal town of Yeppoon is a popular tourist destination, famous for its beaches, islands and wonderful weather. If you decide to visit this place in the early spring there is a good chance you will miss the mid-seasonal crowd, so be sure to take this opportunity to explore the place with your family. One of the favorite spots there is the lovely Yeppoon Beachfront where your kids are bound to have fun running around the park. We also recommend a night-stay at the Big 4 Capricorn Palms caravan park because it is beautifully designed with kids in mind. Besides numerous pools and slides, it also has an outdoor cinema with family-friendly nightly repertoire and its restaurant provides good service. 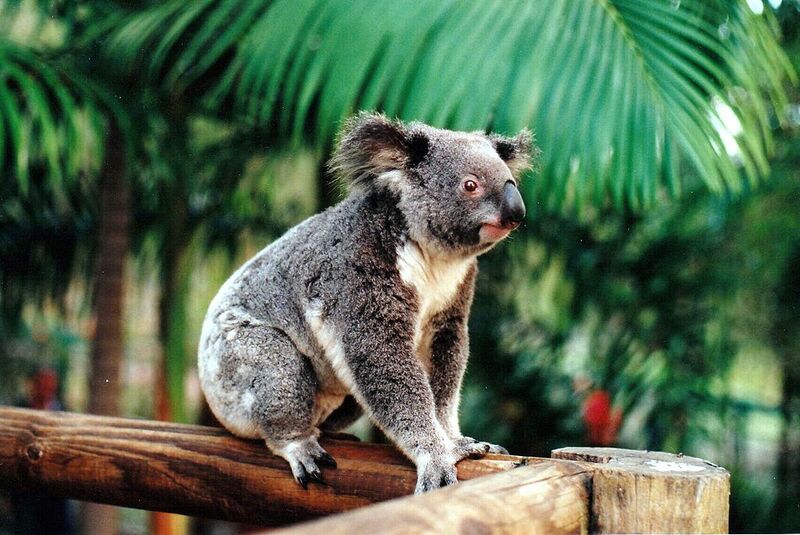 Rockhampton Zoo is set in the famous Botanical Garden which provides a variety of educational events for kids. This is a lovely place and people there take good care of animals, which is why you should definitely consider bringing your kids to this spot. Not only is it fun and pleasant, but a trip to this Zoo can also be a heart-warming educational experience for the whole family. Besides, if you make a visit during the feeding time (most animals are being fed around 3pm), the young ones will have an absolute blast. Nothing cuter than a koala eating right from your hand. If you can’t make it to the Zoo during feeding time, don’t worry. 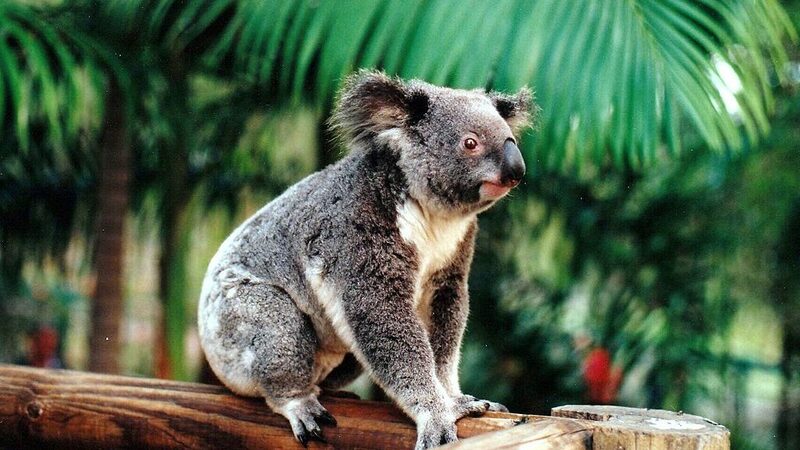 There is one more place at Rockhampton where you can hang out with koalas, and that is Cooberrie Park Wildlife Sanctuary. Located only 15 minutes from Yeppoon, this place is a must-see for all animal lovers. Where else could you safely pet a snake or a crocodile, and hand feed a kangaroo?! Yet, if your kids, for some weird reason, prefer reptiles over koalas, be sure to take them to the Kookana Crocodile Farm. With over 3,500 animals of all ages and sizes, Kookana is a great place to learn a lot about crocodile life and the advantages people take of their… well, afterlife. The all-day tour includes lunch, and kids under 3 have a free pass. Yes, you heard us right… One of the most exciting experiences you could get in Rockhampton includes treasure hunting within the remnants of an ancient volcano at Mount Hay. The wonderful hippie couple that organizes the tour is passionate about their job and the whole volcano-esque experience. To be fair, this is not an easy trip, so get ready to get your hands and feet dirty, but the look of pride and triumph on your kids’ faces when they discover the rocky treasures at the end of the hard day will be worth it. You can get there via Capricorn Highway (A4) if you drive west from Rockhampton. When you get close, start looking for tiny signs saying “Mount Hay thundereggs”, but be careful – they are easy to miss. These are just a few suggestions that will make your visit to Rockhampton more fun for the whole family, but let your spirit guide you to the next discovery. And don’t be afraid to explore some family-friendly tourist hacks like getting a free campervan and organising your visits around free hours. This will not only save your family money while traveling, but also nurture your adventurous spirit. Because nothing says “adventure” like being a responsible parent on a wild family road trip!